When zombies rise, keeping your kit light is of the utmost importance. You want survival tools that perform many tasks to help keep you light and mobile. This Bearded Survival Hand-Axe is one tool with a high level of versatility. This axe is crafted in 440 stainless steel that features a sleek and tactical black finish and a unique head. The gentle bearded design adds some curve to the axe-bit as well as width, giving it a more aggressive cutting profile. 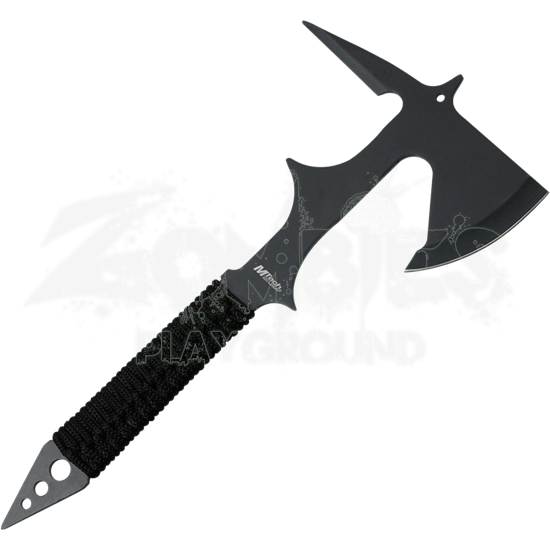 The rear poll of the hand-axe features a jagged spike that can punch through various materials with ease, the least of which being zombie skull. The hilt is wrapped in black cord to provide a secure and comfortable hold, while the tip of the axes haft ends in a useful point that is perfect for the occasional haft-strike or glass-breaking endeavor. The axe also features a distinctive pair of alternating spikes on the haft, set just below the blade and just above the grip, ensuring that the weapon has only one grip that is easily grasped. Included with the axe is a nylon sheath that is perfect for storing the axe away or keeping the bit safe in transport. 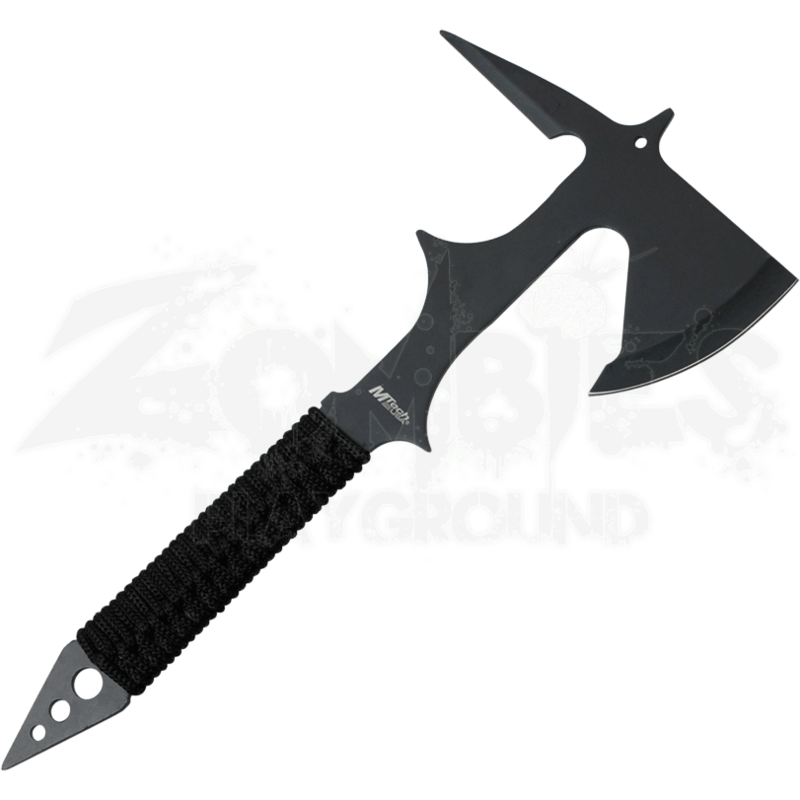 Rugged, reliable, and rather unique looking as well, this Bearded Survival Hand-Axe is a distinctive and versatile tool to have at your side, serving to help you survive the hardest days of the oncoming zombie apocalypse.